City Hall in downtown L.A. has been made famous in countless TV shows and films. On week days you can visit City Hall and take an elevator to the Observation Deck on the twenty sixth floor to enjoy a spectacular view of attractions in downtown Los Angeles including Olvera Street, Union Station and Disney Hall. To get there, go to the Main Street entrance of City Hall, Monday through Friday from 9 AM to 5 PM. 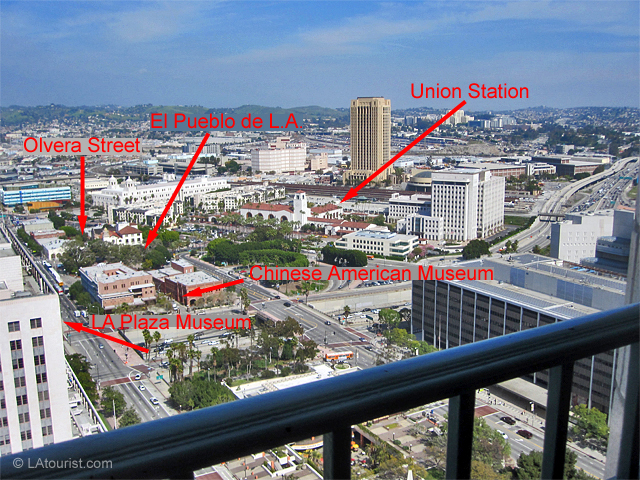 More Attractions in downtown L.A.